Setting up a VPS IOTA Full Node from scratch! In this tutorial I will guide you step by step to install and run a headless Full Node for the IOTA network using the latest stable IRI release and a Virtual Private Server (VPS). 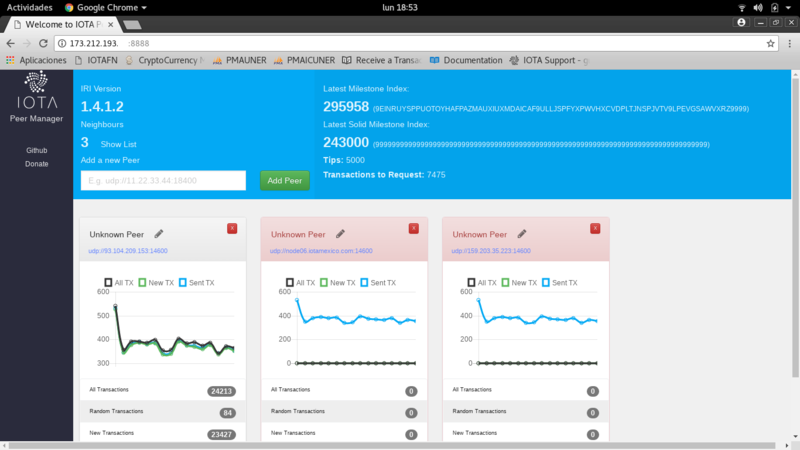 We will also install iota-pm, in order to have a dashboard to control our neighbors perfomance. I will be using Debian 9 in my local machine and in the VPS. If you use other OS such as Windows, you can download a ssh tool such as putty to connect to your remote server and run the commands we will cover. It should be just the same. A Virtual Private Server is a virtual machine based server that allows you to connect and work on a given operating system as if it were a dedicated computer. You will be accesing the server and installing stuff from the scratch on a Debian 9 Linux distribution. Ubuntu and other Debian derivated should be pretty similar -if not the same. For this tutorial we will be using a Contabo VPS with 4 CPU cores, 12 GB RAM and 300 GB of SSD storage. As I write this, that plan costs 8.99 Euros. Once we finished paying for the VPS, we will receive our public IP and the root password to login to the box via ssh. So, lets start there. We will access create a directory for our node and install some packages that will be needed such as Git, Maven, and others. We will be assumming that my public IP Address is 173.212.193.00. Last numbers are not shown because this is actually a Full Node I will be running. To start let’s go to the /opt directory. Once we are there, we will install Git, Maven and Java 8. For get this done, we will use the following commands. Note that everytime you run apt install command you will be prompted to chose if you wanna install the pck or not. Just enter Y and hit enter. If everything went fine, you should be able to see what java version you have installed by typing the following command. Since the IRI Github has the source code but also contains an already compiled version of the IRI, you can choose which way you wanna go. Some people would prefer to compile from code (harder road), others will just download the iri.jar and run it. We will cover both. If you dont know what compiling from source is or you dont want to loose time compiling just jump to the method B to downlod de already compiled IRI. We are now ready to start working with the IOTA IRI. Let’s clone the iotaledger Github IRI in our ot folder to get the latest version. Once we clone the repo a new iri folder will be created in /opt. We will compile the IRI and build the package with the following commands. In order to keep the same directory structure along the tutorial we will create the folders that the compilation process would create. By doing this, we will have our Node executable in the same place (/opt/iri/target) whether we compile or download the already compiled IRI version. If everything went fine, we should be able to run our node to test it. We still have no neighbors so we will just try starting it up to see if we are fine and then we will stop it with ctrl + c.
Because we will need to pass some arguments to the IRI (such as the port in the example), we will create a configuration file and place all the parameters in there. Once we have our config, we will be able to run the node only passing that config file as argument. 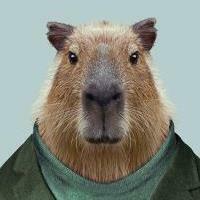 Let’s create a config file called iri.ini inside the target folder and place in there the values we will need to have. We will be using nano, a command line based text editor. All you need to know is that you can create a new file by typing nano newfile.txt. To save the file contents you do ctrl + o. To exit the file and get back to the terminal you hit ctrl + x. Lets see a little what we are going to include in this file. Note that in here you must list your neighbors. In order to have a fully working node you need to exchange your full node address with other users (called neighbors). Only once you add a neighboar to the list and that neighbor do the same with your node, you have a valid pair. It’s very important to have stable dedicated neighbors if you want your Full Node to sync and work properly. So it’s a two way process. You can look for neighbors in the #nodesharing Slack channel. Everytime you need to add a new neighbor you must stop your Full Node, edit the iri.ini, add the address leaving a space between addresses, save the file (ctrl + o) and exit (ctrl + x). Finally you restart your node . Once you have your config file ready, you just start the Full Node again with the command used before and the -c iri.ini as only argument. This will run your node using all the settings described in that config file. If your neighbors are working fine you will eventually start getting some data. Before you proceed installing some Graphic tool to monitor your and yours neighbors nodes, you should permorm a test to see if your running node has a reachable API. This can be done by using curl as described in the IRI API Reference Guide. My node IP is 173.212.193.00 so, its API should be reachable at http://173.212.193.00:14265. In order to check this we will run this Curl command in the terminal. If everything went fine we should get a response of this type. So far we have our node running and we can see the data as it goes down in the terminal. This is not very practical, specially if you wanna have an overview of how your neighbors nodes are working and how is your sync doing. In order to have a tool that makes all this easy we will install iota-pm. This node.js tool will give us a public point to access our Full Node via our browser. Lets install Curl, node.js and nmp in order to get this wonderfull tool working. And that’s all! Now, we have our Peer Manager installed. In order to start it and be able to see our dashboard from the browser we must use the following command. Once the command is running you can just to your browser and point to http://127.0.0.1:12000 to see a nicely designed dashboard. Notice that we are using the port 12000 but you could use a different one as long as it's free. Get your node synced fast! If you start your Full Node and your IOTA Peer Manager you will see that the values Latest Milestone Index and Latest Solid Milestone Index are not the same. This means that your node is not yet synced and, therefore, is not good to use (with your wallet, for instance) yet. If you just let the node running this two values will eventually catchup. 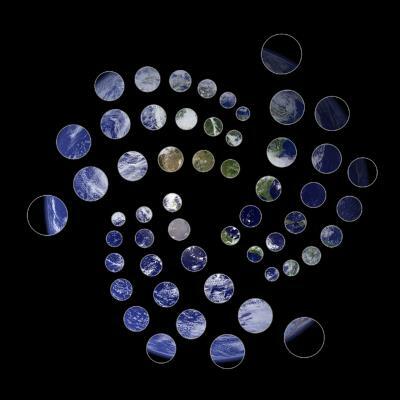 Because you might have to wait for a long time to get this done, there is a quick solution: you can download a 30 minutes old image of the Tangle database and start the sync from there. That should allow you to get a synced node in some hours at most. an aditional configuration value we must add to our iri.ini file called DB_RESCAN = true. This param will force our node to clear all database data and rescan from the beginning (which we want since we have a new database image only behind in sync by 30 minutes). So let's edit our iri.ini to add this last param. 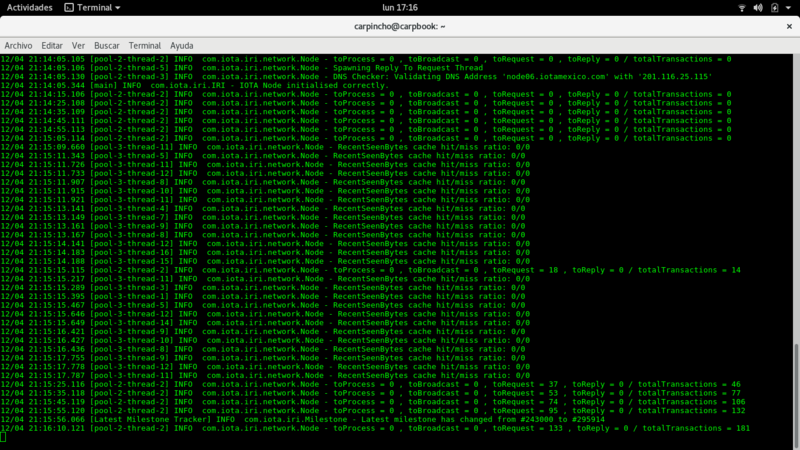 And now let's restart the IRI with the usual command. Note that at this stage we dont have a method to start and stop the IRI as a service so we need to find out our node PID (see the las image of this tutorial regarding ps ax) and send a kill signal. Lets assume we do a ps ax and our PID is 10123, so we should do the following to stop the IRI (kill -9). Note: I know this is not the way. We will add some code to manage this with systemctl soon (there is even some code in the comments if you wanna try). 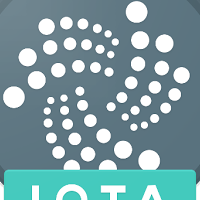 Full Nodes are useful for helping IOTA network to get stronger only if they are running 24/7, in good shape and with neighbors performing reasonable fine. Add some neighbors to see how good they are doing and clean your neighbors list to only keep the ones that are almost up and have good permormance. When you start running your node, you will have to go though the get in sync process. This can take hours or days depending on your node performance and your neighbors health as well. If you are deleting addresses from your neighbor config section, let them know so they can also remove you. Finally, you can easily check if your iri and iota-pm are running by using the ps ax command, which lists all the processes running at the time in the machine. @Carpincho Beautiful. Pinned to the top of this forum. Thanks! Everyone can setup a Full Node just be following those steps. I hope it helps! @Carpincho Thanks, I edited it for you. We have the forum set to prevent edits after some fixed time period. Thanks! There a lot of typos that I fixed in the Source but commands are fine so the guide should serve its purpose! @Carpincho Please DM me (either here or on slack) with those updates, and I'll edit them in. This guide is amazing, so I definitely want to prioritize the curation of your great work here. Thanks guys, I built this. here is mine. http://198.187.30.126:8888/. Any idea how to get this to work with a DNS hostname. I want it to resolve with my hostname miotanode.com. Cool. I am going to do that today! it's better to use Oracle Java and not the OpenJDK, as there can some errors occur with OpenJDK. I'm getting the following error. I've asked in the #help room on slack, but only found others with the same issue (following this guide), so hoping maybe it's as simple as an omitted step? Change the API_HOST variable to reflect your servers address in the iri.ini file. I would suggest running the applications using systemd service files instead of nohup. This will make it possible to start the applications on boot and makes for a better handling of the applications. Please come with suggestions to improve the systemd service files as I'm no expert. Change the API endpoint and the local server ip and port to reflect your setup. No, no! Please don't mix in more external repositories and especially not ppa's. Iri is working fine with openJDK/openJRE. Lindbergio, unfortunately some minutes after creating this Post I was no longer able to Edit it so it has lot's of errors and missing last steps such as the download of a 30 minutes old mainnetdb which allows to sync via rescan in some minutes. I will add all this stuff to the source and then maybe create a new Post. Regarding your corrections, I should try them. This steps are working with a Fresh Debian 9 VPS. I did this routine enough so as to be sure that following this steps you get a running FN with IOTA-PM. Let me try those packages instead of the ones I used and if they go smooth I will consider the change.